Melbourne Tullamarine is celebrating the best in customer service among the 20,000 people who work at the airport with its annual airport excellence awards, writes Chris Frame. Major airports across the globe are in the midst of a revolution that is putting customer experience centre stage. With the global growth in travel; customer experience is an increasingly important factor when travellers decide which airport to travel through. 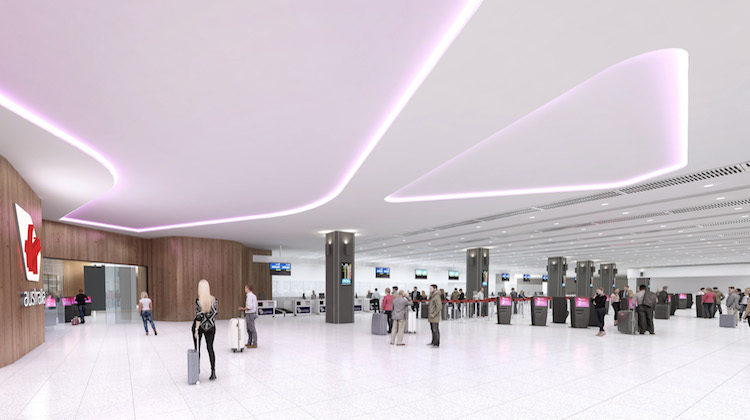 Today’s traveller, both business and leisure, expect engaging and vibrant airport experiences with fast access to information, quality food and beverage, high-street retail brands and 24-hour connectivity. In the Australian context, this shift of mindset is evident across a variety of capital city hubs. It has seen major Australian airports invest heavily, revitalising their offering to improve the customer journey. Like many of its Australian capital city counterparts, Melbourne Tullamarine has reinvented itself in recent years. The airport has focused on its international traveller experience that puts the spotlight on both Melbourne and Victoria. This has included the introduction of Victorian retail offerings, bringing quality local produce and services into the terminal. Additionally, Melbourne has greatly improved connectivity, with a focus on utilising digital tools to benefit passengers. Its newest terminal that opened in 2015, T4, embraces technology, utilising the latest electronic systems that range from modern electronic checkin terminals to next-generation departure screens. 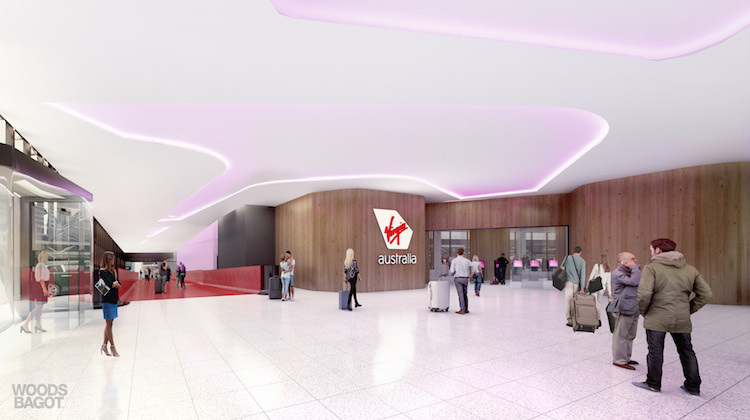 Melbourne Tullamarine is also embarking on a revamp of its Terminal 3 precinct, currently used by Virgin Australia, over the next three years that will focus on more self-service facilities, a dedicated premium entry for eligible travellers and the relocation of some security screening facilities to improve passenger flows. The first stage of the construction work commenced on Wednesday, Virgin Australia and Melbourne Airport announced in a joint statement. The first stage of redevelopment involved replacing checkin kiosks with newer models to speed up the process of checking in and the printing of boarding passes and baggage tags. There will also be new service pods and service desks. The two companies said the majority of the automatic bag drop facilities would be implemented by the end of the year. Virgin Australia group executive for airlines Rob Sharp said extra staff would be in the check-in hall over the next few months to assist passengers. “Melbourne is one of our busiest hubs with over 100 return flights operating each day, and it’s imperative we have the infrastructure to support that,” Sharp said in a statement. The checkin facilities work was expected to be completed by the end of calendar 2018. 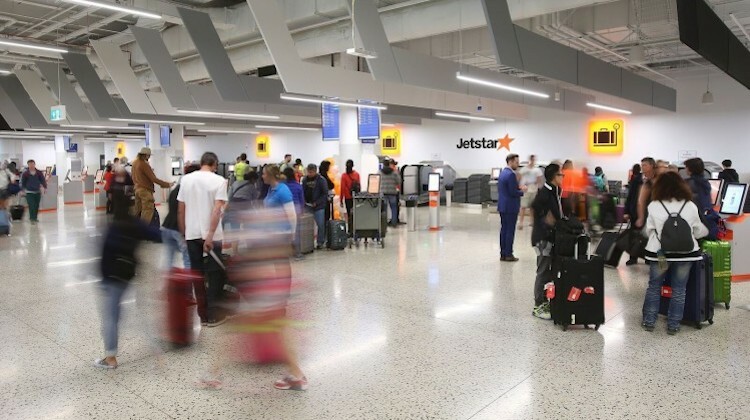 Yet despite committing a significant investment in infrastructure, the team at Melbourne Airport realised early on that the passenger experience was also impacted by the vast number of individual businesses that operate within the terminal. While improved design, upgraded amenities and faster Wi-Fi will go a long way towards offering a world-class airport experience, a negative human interaction can undermine the most significant of hard-product upgrades. And with more than 20,000 people employed across the airport precinct, there are thousands of individuals who can impact on the overall customer experience for travellers, both positively and negatively. 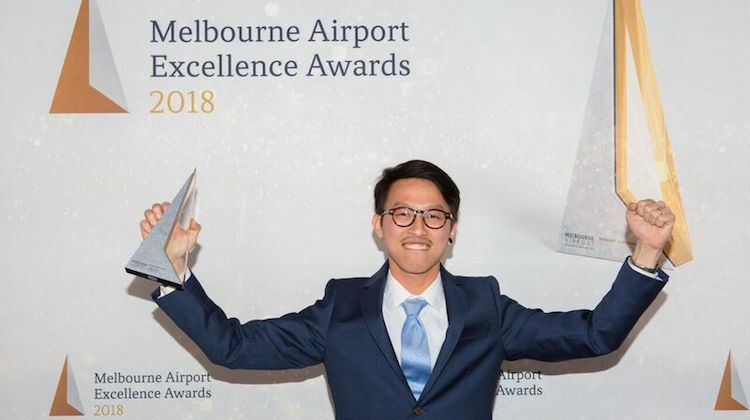 To unite all 20,000 members of the Melbourne Airport family under the airport’s experience paradigm, Melbourne Airport brought in the annual Airport Excellence awards. Melbourne Airport head of corporate communications Grant Smith spoke with Australian Aviation in August. He explained that the awards aimed to celebrate champions of quality service delivery. 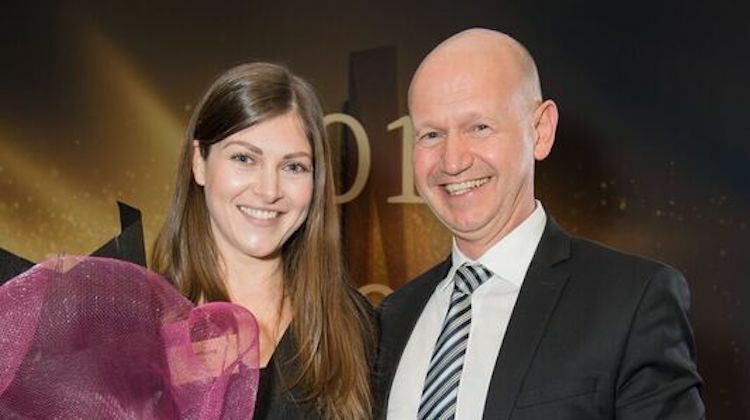 “The Melbourne Airport Excellence Awards cover all aspects of the traveller experience, from the customer service received when arriving at the airport, through check-in to retail and hospitality, security screening and air travel,” Smith said. There were more than 150 nominations for the 2018 Melbourne Airport Excellence Awards across a broad variety of categories including customer experience, customer service, volunteers, retailers, baristas, airlines and airport lounges; to name just a few. 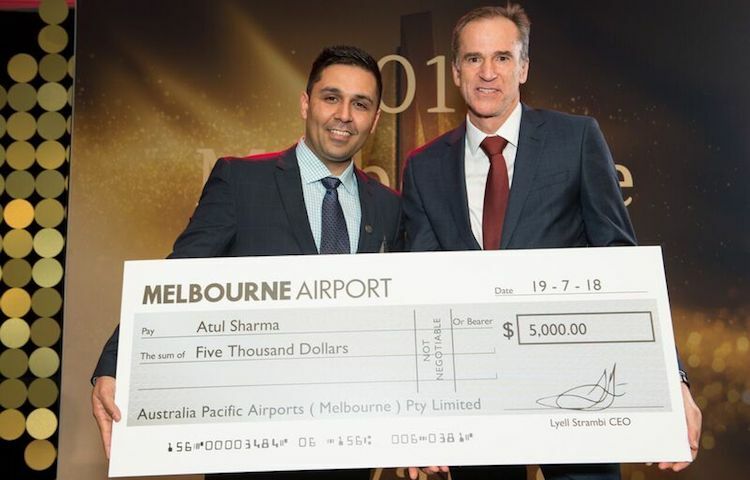 The major $5,000 prize was awarded to Atul Sharma from Menzies Aviation, for an outstanding contribution that reflected Melbourne Airport’s customer-centric values. Menzies Aviation’s Atul Sharma receives his $5,000 prize. (Melbourne Airport). Other winners included Jimmy Tran for Barista of the Year. Also, Virgin Australia’s Bethany Stagg was recognised for her Christmas carol in the airline’s premium passenger lounge in December 2017. In addition to the awards, Melbourne Airport captures and monitors customer feedback via social media and email as well as face-to-face interactions with staff in the terminal. The airport also employs mystery shoppers to review customer service inside the airport’s retail outlets year-round. 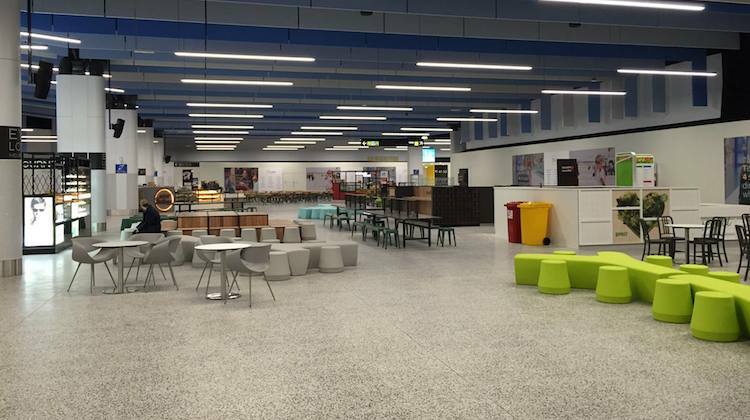 “The airport’s cafes and restaurants are analysed by a third-party organisation to report on the presentation and taste of food, service and behaviour,” Smith explained. “As we are the world’s most liveable city and renowned for our food, coffee and culture it’s vital we uphold that reputation and bring the city to life at the airport. 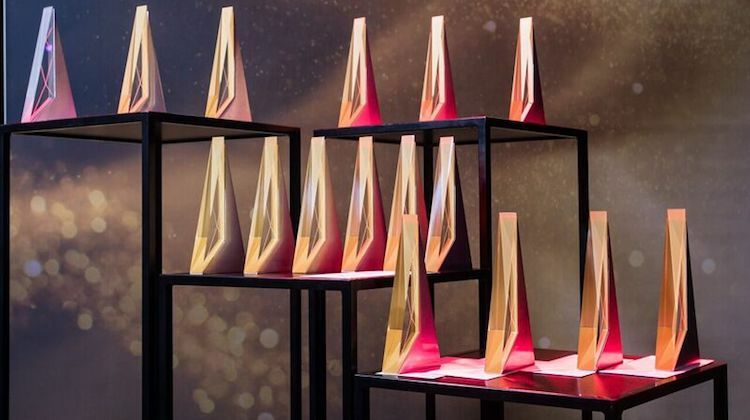 Nominations for the 2019 Melbourne Airport Excellence Awards are now open with members of the public welcome to submit a nomination here. VIDEO: Virgin Australia’s Bethany Stagg singing Merry Christmas in the airline’s Melbourne lounge, from Ryan Northover’s YouTube channel. Love the changes that MEL are brining in. Wish Qantas would do something with their dated and dilapidated terminal. Lounge upgrades aside, T1 has broken fittings, vacant shops, flickering yellow lights and carpet so old you can be forgiven for thinking you’re seeing Australian Airlines logos on it… not a good look! VA are stepping up the game! Took over 2 hours yesterday to get out of the airport from an international flight. Joke of a place. I’ve always had a bad experience, whenever I return from a international flight no aerobridge available then pushed on buses and after all that long queues inside the terminal.Please we all know what airports look like around the world, melbourne airport resembles a third world airport stop making multiple car parks instead make a 21st century terminal. Amazing…wonder how much they had to pay to get that award. The airport is a disgrace, very limited restaurant facilities after passing security, the quality of food is disgusting even though the prices are far too high. I don’t know which terminal the above comments relate to but I love Melbourne Airport. Being able to walk out of international across to my domestic Virgin flight is a joy compared to others that need bus trips etc. The international arrivals at Melbourne Airport is filthy. I know it’s cramped but at least keep it clean and give it a lick of paint. Scuff marks, fluff, rubbish and dust everywhere, stickers stuck to the floor, rubbish sitting in the baggage carousels. The toilets always look like they have not been cleaned with care just pressure hosed down and left in puddles. Exiting the hall feels like you are going through a construction site. Whoever is managing the cleaning team at that terminal clearly has not walked around it. Great first impression we are giving to our international visitors.